If you like to chop vegetables up then this is the dish for you! I did all the prep work while John was at work and so almost the entire dish was dump and sauté according to length of cooking time needed. In addition to the vegetables in the actual recipe, I also added a few bits of mushrooms and snow peas that I had languishing in the refrigerator. No meat, no dairy, this is a great dish for all dining enthusiasts. 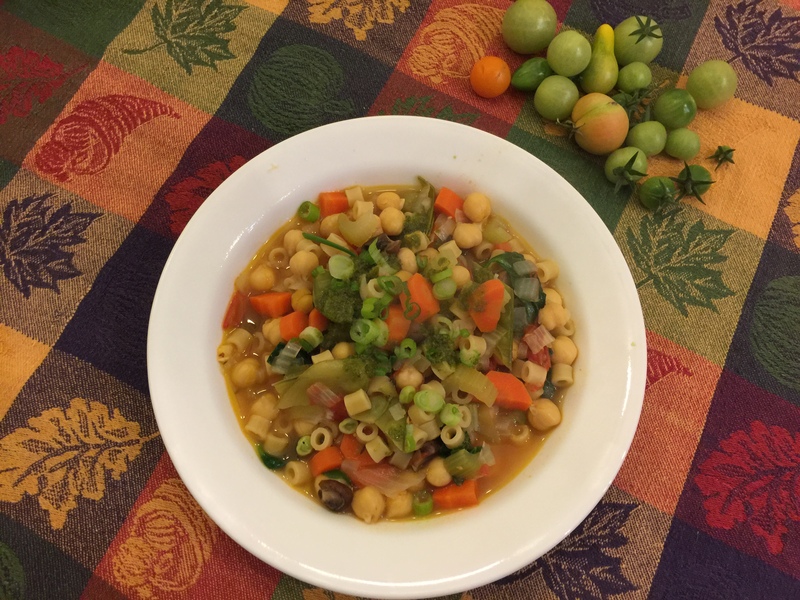 This entry was posted in Legumes, Pasta, Vegan, Vegetables, Vegetarian and tagged chickpeas, ditalini, kale, Vegan. Vegetarian, Vegetables. Bookmark the permalink.